Porch Swing Creations: Perfect Catch! The card I'm sharing with you today is the one I made for my hubby for Father's Day. As our boys are getting a little older he's finding more and more enjoyment in taking them fishing and one day hopes to take them hunting. 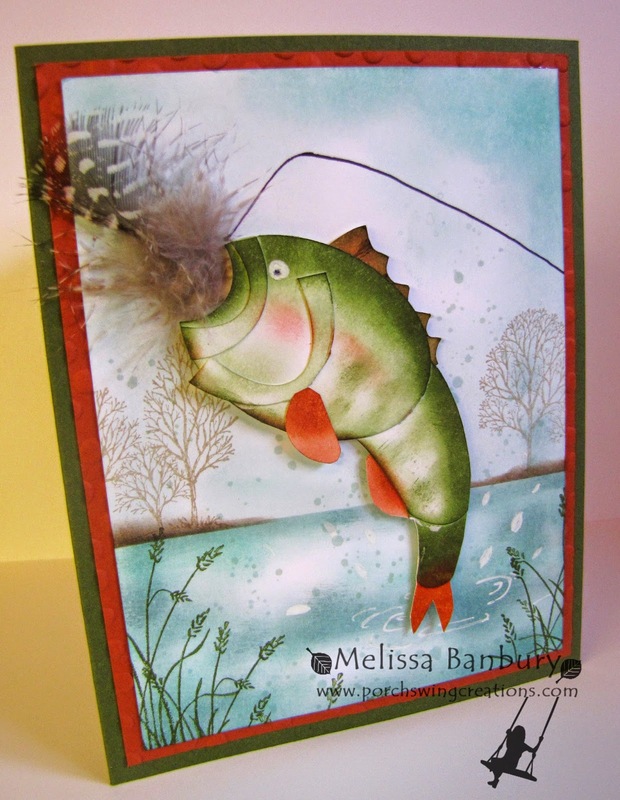 It's seemed only fitting to give him a card depicting one or the other so when I found a link on Pinterest for this Bass punch art I knew it would be perfect for him! To create the background first mask off the waterline with a sticky note on a piece of Whisper White cardstock. 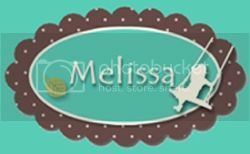 Sponge Soft Sky around the outer edges of the cardstock leaving the center much lighter. Flip the sticky note over and begin sponging the water with a combination of Coastal Cabana and Lost Lagoon for contrast. To create the treeline place the mask back over top of the waterline then sponge small amounts of Crumb Cake to make banks for the trees to be stamped on. Once the banks are sponged, stamp a couple of trees from the treeline in the Lovely as a Tree set. Finish up by stamping the grass image from the Wetlands set across the bottom of the waterline a few times in Mossy Meadow ink. Add the dots from the Gorgeous Grunge set in Soft Sky ink around the areas where the Bass will be positioned to create the look of splashing water. As for making the Bass first punch then assemble the pieces for the body out of Whisper White cardstock with Multi-purpose glue. This will make it much easier to trim, sponge and do the shading when the fish is whole rather than sponging each individual piece before assembling. Sponge Pistachio Pudding first, blending inward to the belly of the fish. Shade with Mossy Meadow over the Pistachio Pudding. Lightly shade the belly area with Calypso Coral ink. Punch out and shape the fins then sponge with a combo of Calypso Coral and Cajun Craze ink before gluing to the body of the fish. The eye is a dot of white gel pen with a smaller dot of Basic Black marker. Glue the Bass to the background using dimensionals, being sure to center over the water droplets created in the background step. Add a few additional water ripples and splashes with a white gel pen underneath and around the fish. As a final touch draw a fishing line from the fish's mouth with a Basic Black marker and glue a craft feather in the mouth to mimic a fish hook. Hope you enjoyed this card! I'll be back with more so be sure to check back - have a wonderful day! Wow. This fish will make up for all the ones that got away. A prize for sure. Would love to know what the link was for the punch art fish. Great job. Thank you for your kind words! I have the link to the recipe in the second paragraph of this post - just click on the word "Bass" and it will take you right there!